Kids Pattern Recognition's update in the App Store is live and is now working! wasn't functional. I can't believe it happened to me. Over a week ago I updated all my apps on Apple to remove affiliate links because they probably violate COPPA. I tested all the apps on my devices and simulators and they all worked. I uploaded them to Apple and they were reviewed and approved. A week went by and everything seemed good, but then I got an email from a customer who had bought the app and said it would not open. I panicked because the app was due to go free in a few hours and would be heavily promoted and the last thing I want is for thousands of people to download a bum app. Apparently there was a bug in the release version I sent to Apple that was not a problem in the debug versions I was testing. While I was frantically trying to pinpoint the bug I was seriously doubting my sanity in having started this business, as my husband was not home, and thus not only was I trying to deal with this crisis, but I had to feed and put my two kids to bed. But all is as well as it can be at the moment because I have fixed the problem and have submitted the update to Apple, and even requested an expedited review. 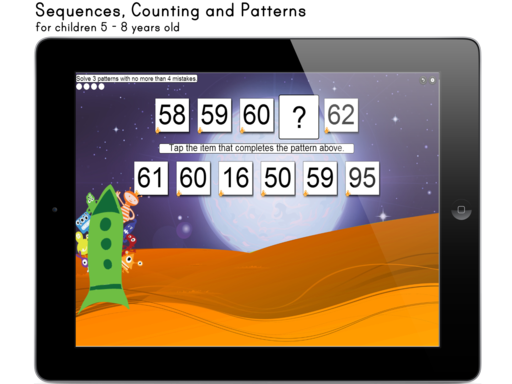 Even so it will probably be at least a couple days before it is live, so for all you lucky people not only will Kids Pattern Recognition be free Friday and Saturday, but Kids Sequences, Counting and Patterns will be too, and it will be the app promoted for App Friday. Granted you won't actually be able to play Kids Pattern Recognition till the update is out, but you can pick it up for free now, and enjoy Sequences and Counting in the meantime. thanks for the insight. I hope apple approves the app soon. So sorry for your stress and hope things get better for you. More important than anything is that you looked after your children and they came first. From another great super mum! !